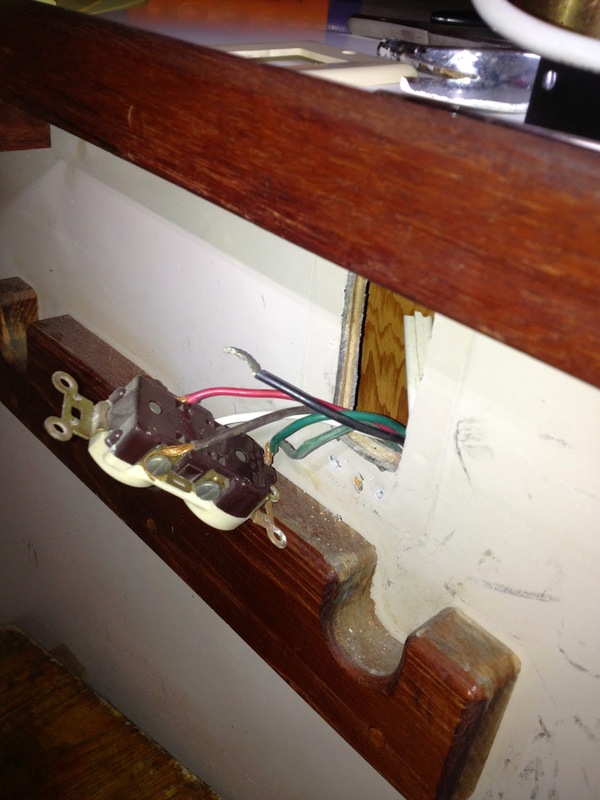 Captain Curran's sailing blog: Electric problems while out at Sea. Electric problems while out at Sea. They say you should never head out to Sea 'half-boiled'. They say you should never head out to Sea without a bulletproof electric system. Well, I did both of those things on a recent trip from San Diego to the Northern Channel Islands. I spend many days stranded in Oxnard, going through all my wire circuits trying to find the problem. Then I found the cause of 1 of my 3 problems. The hot line leading to this AC plug outlet had shaken free of its contact. In doing so, the AC 120V shore power cord was not able to deliver its charge into the battery bank. The other problems, as I would find out later, were: a dead alternator and fried batteries.